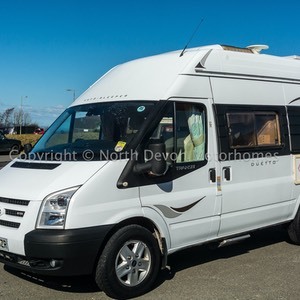 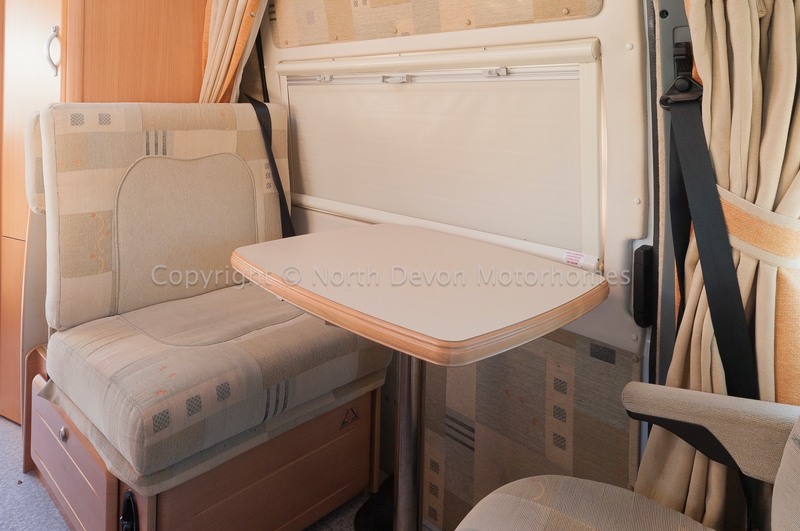 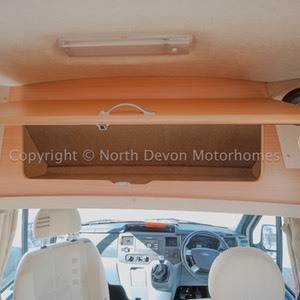 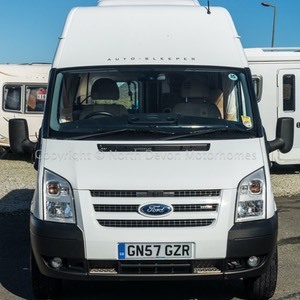 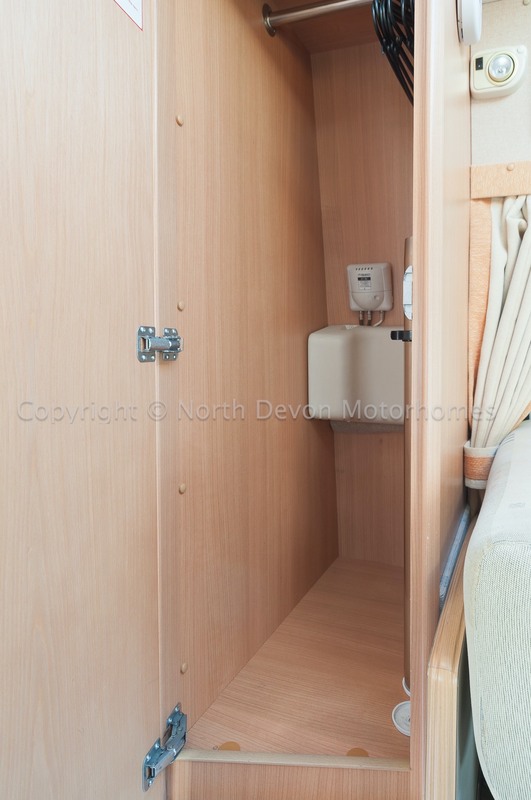 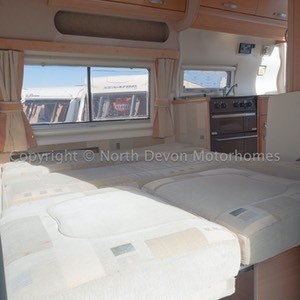 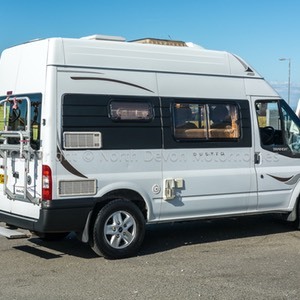 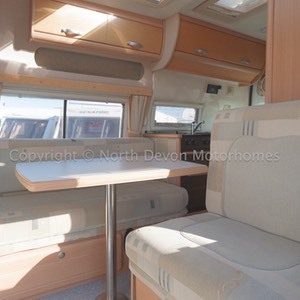 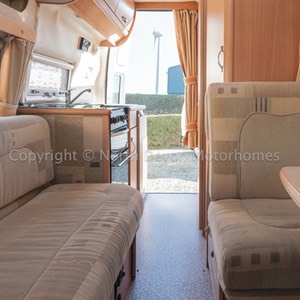 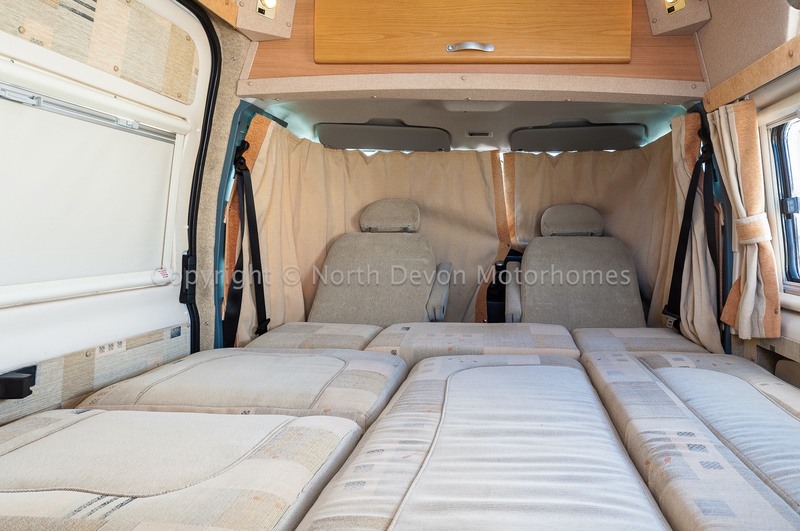 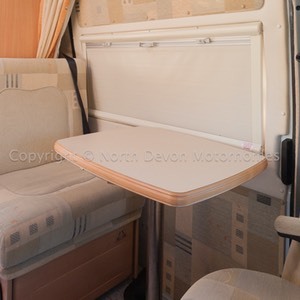 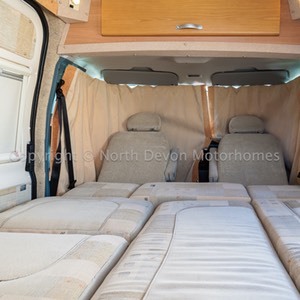 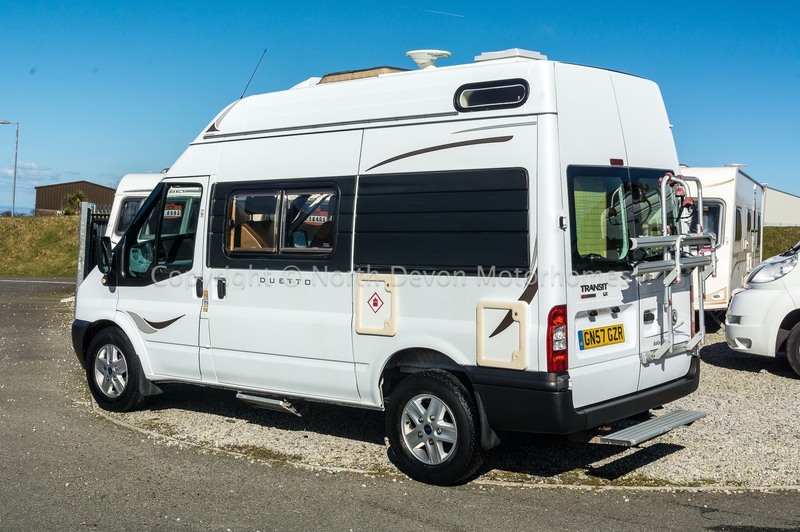 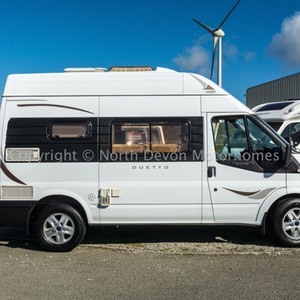 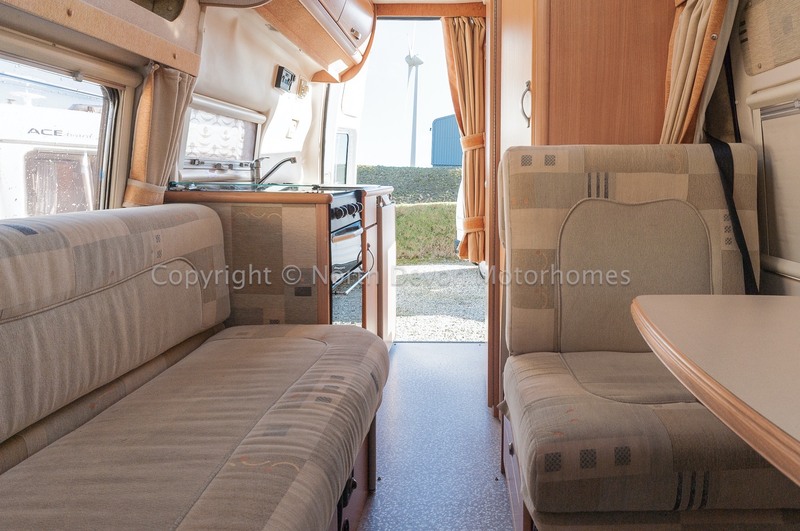 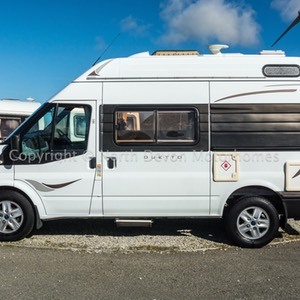 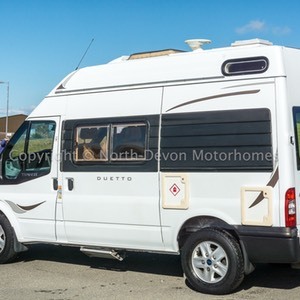 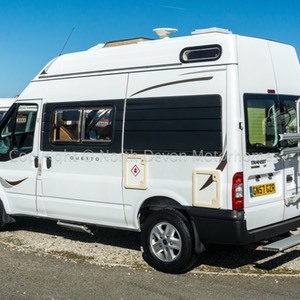 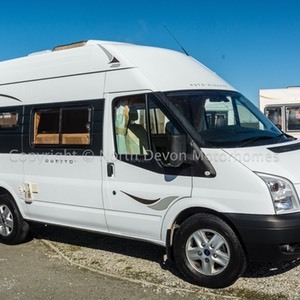 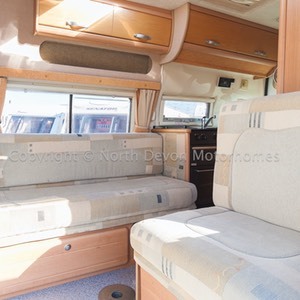 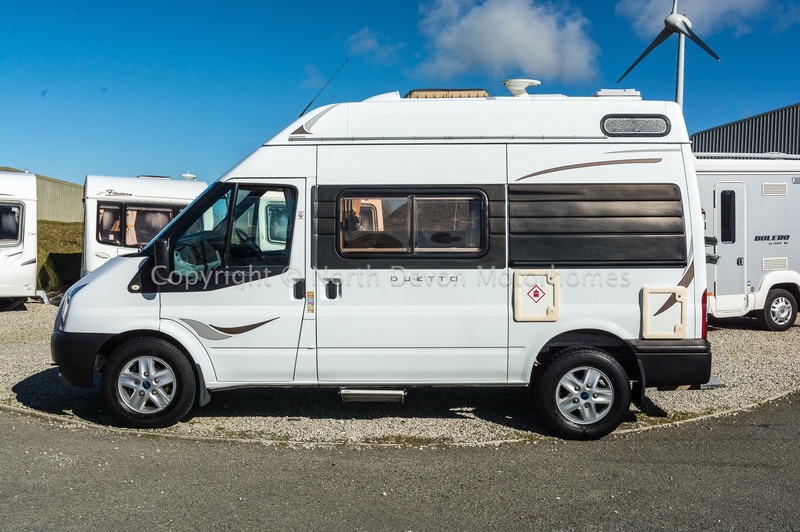 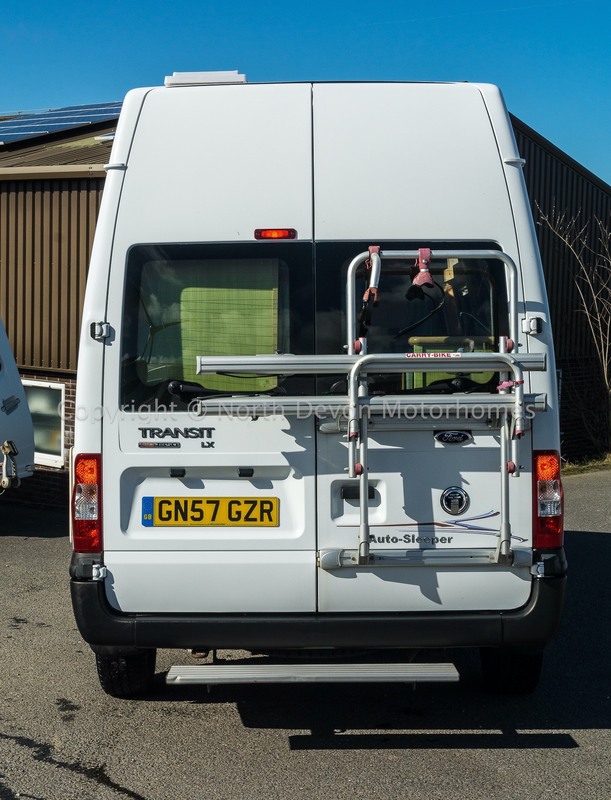 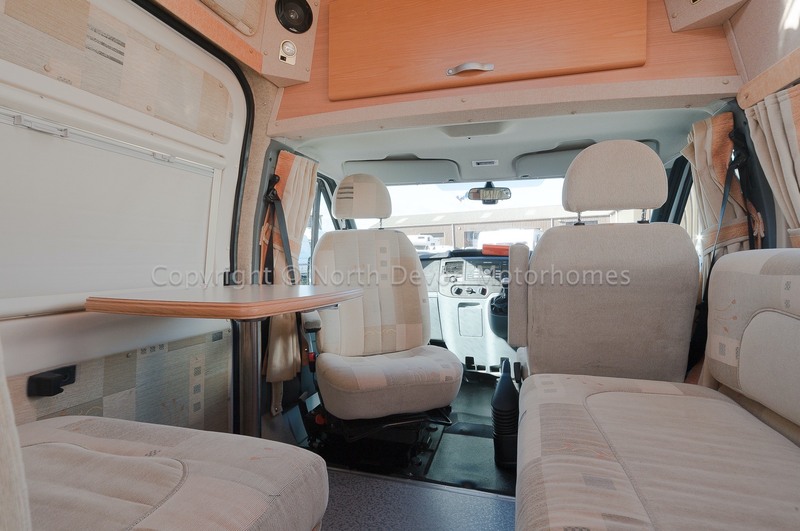 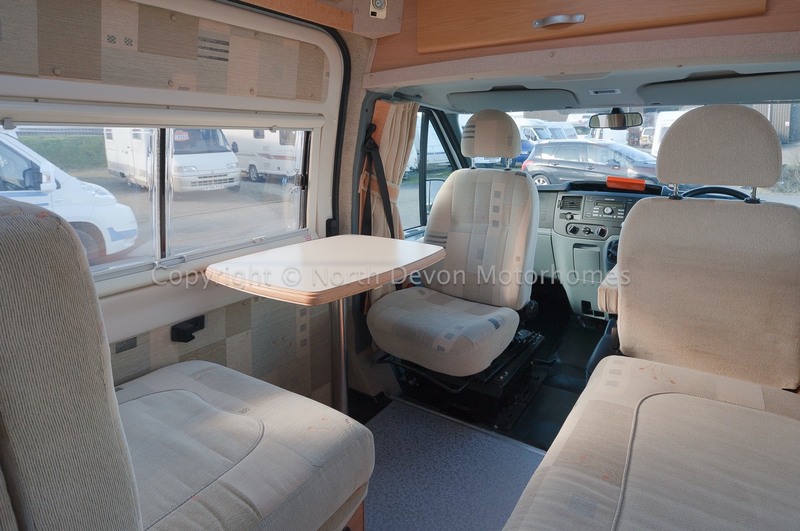 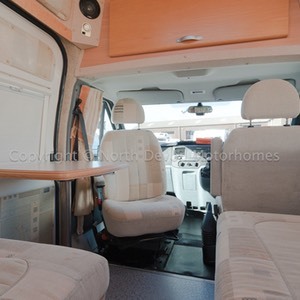 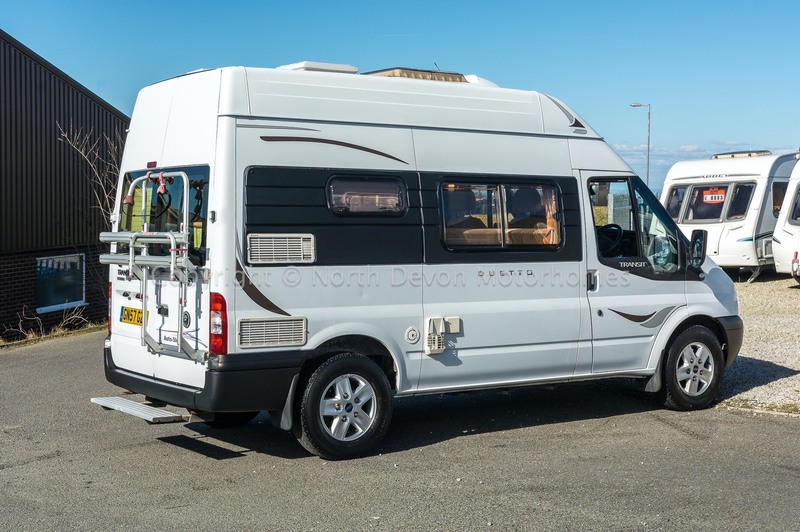 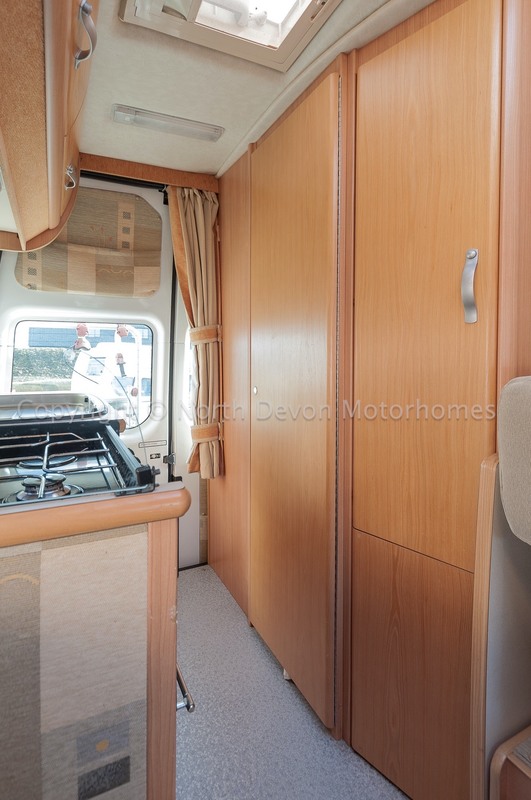 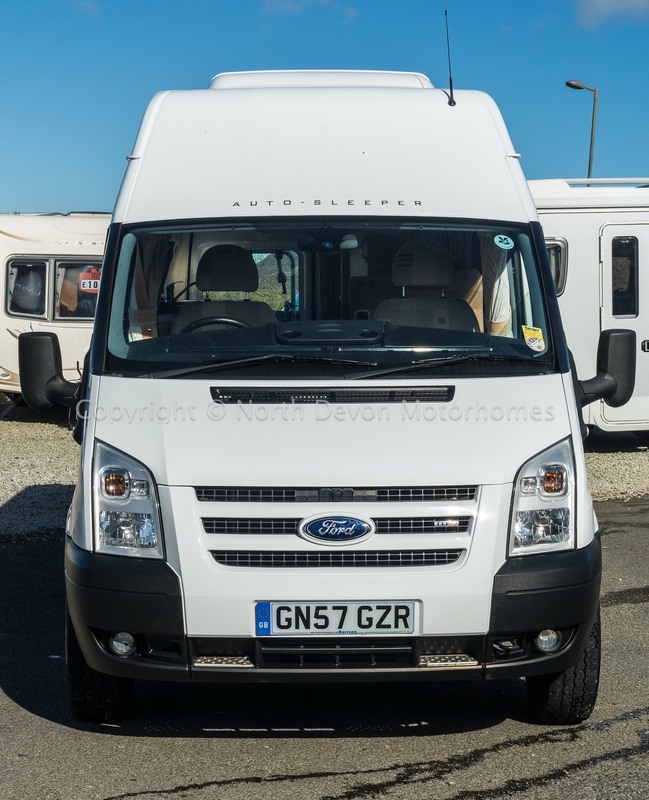 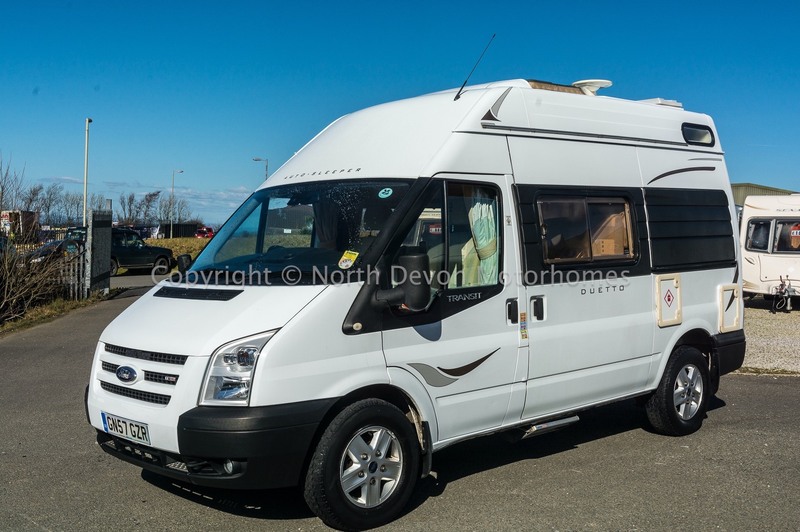 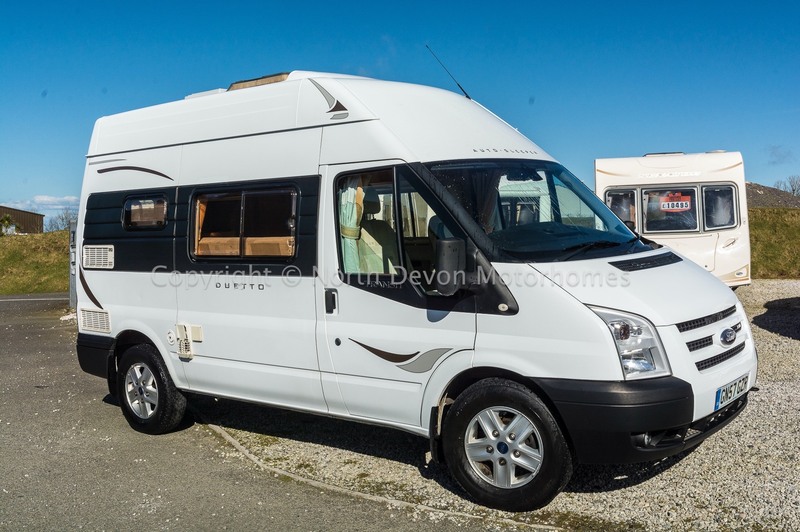 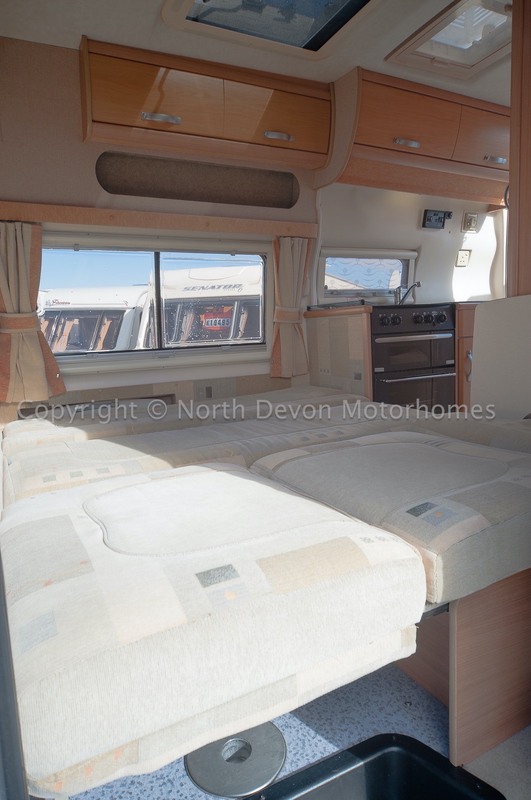 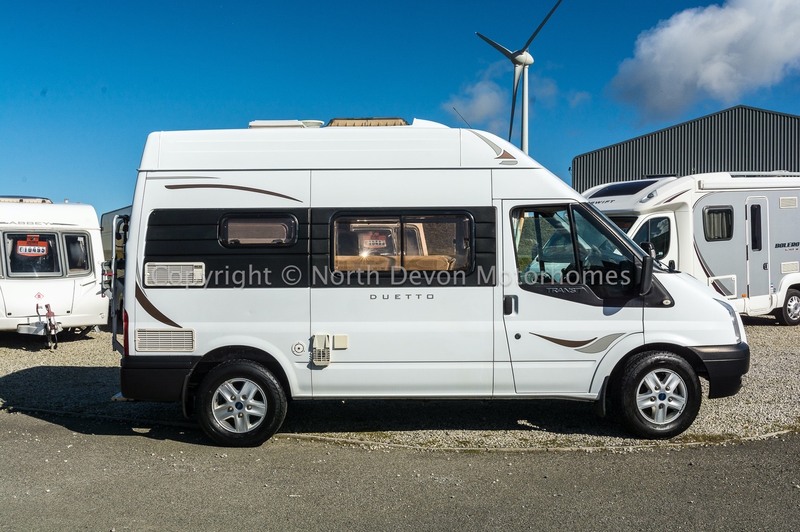 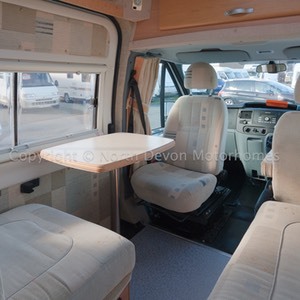 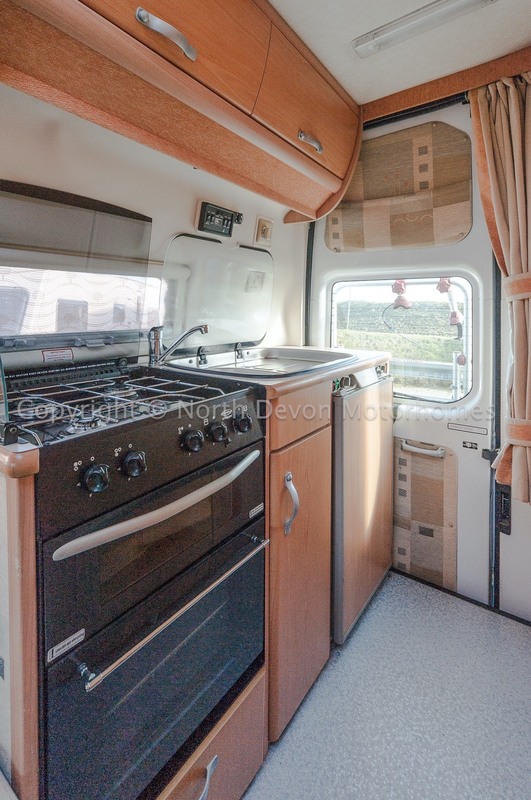 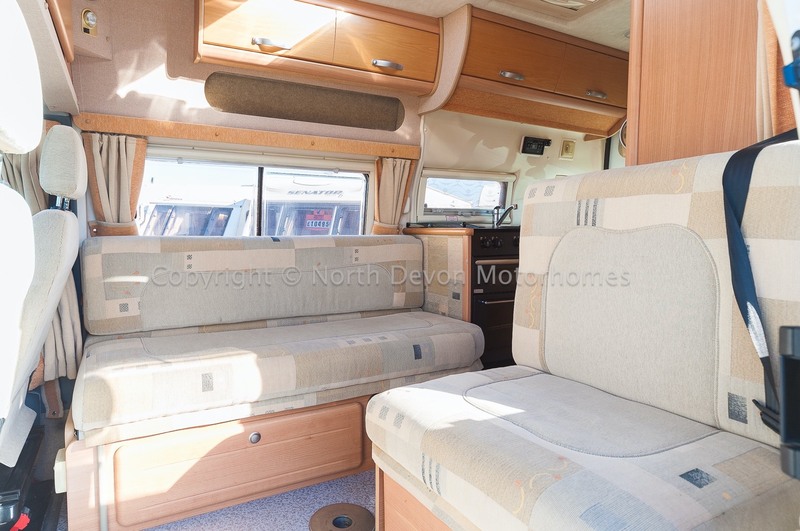 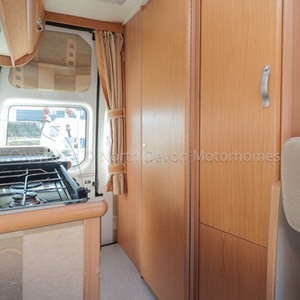 2007 Autosleeper Duetto two berth high top, based on a low mileage Ford Transit 2.4 turbo diesel. 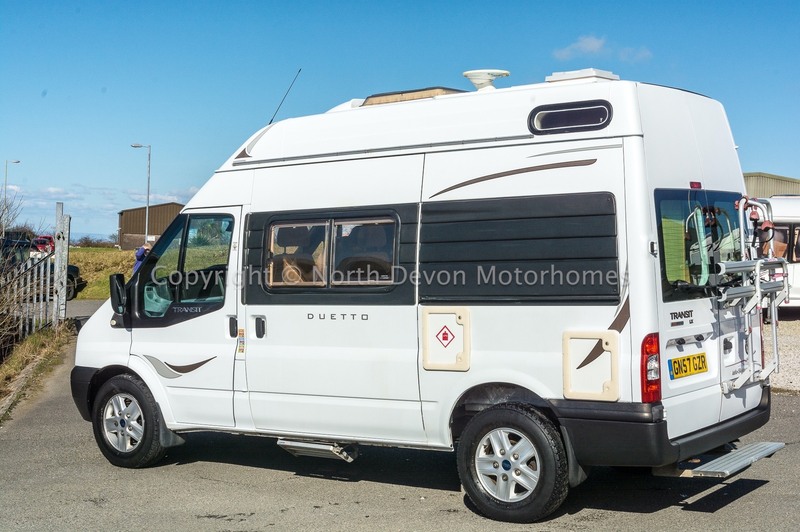 Showing just 35,000 Miles with full service history. 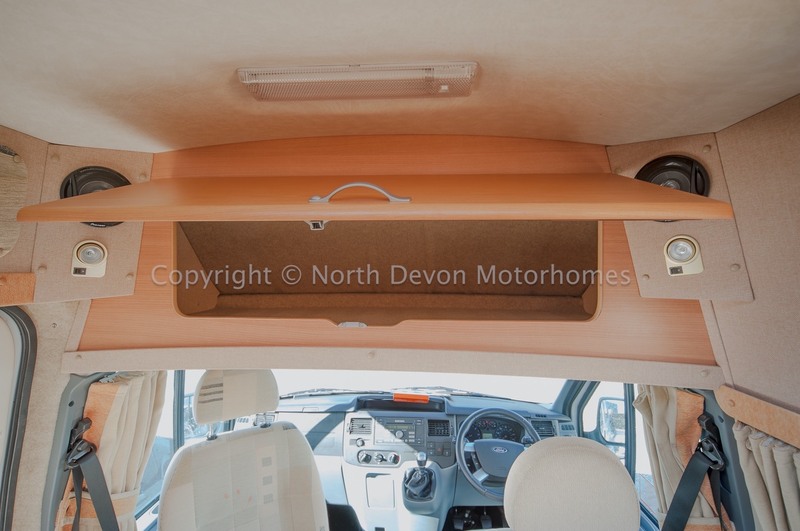 Driver and passengers airbags, EPS, Air conditioning, Cruise Control, Electric mirrors, Electric Windows, Radio cd player, Central locking. 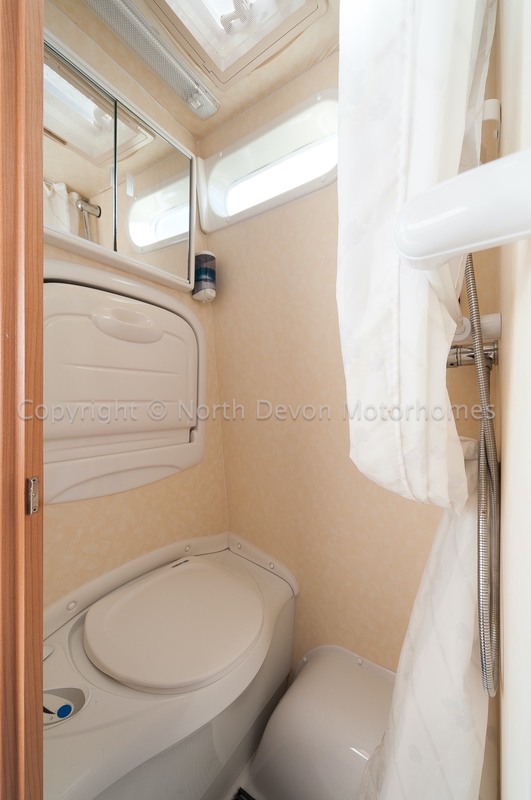 Rear washroom and kitchen, Central/front lounge. 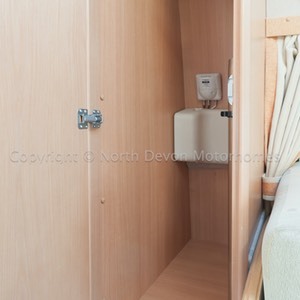 2 Berth, either 2 singles or a large double. 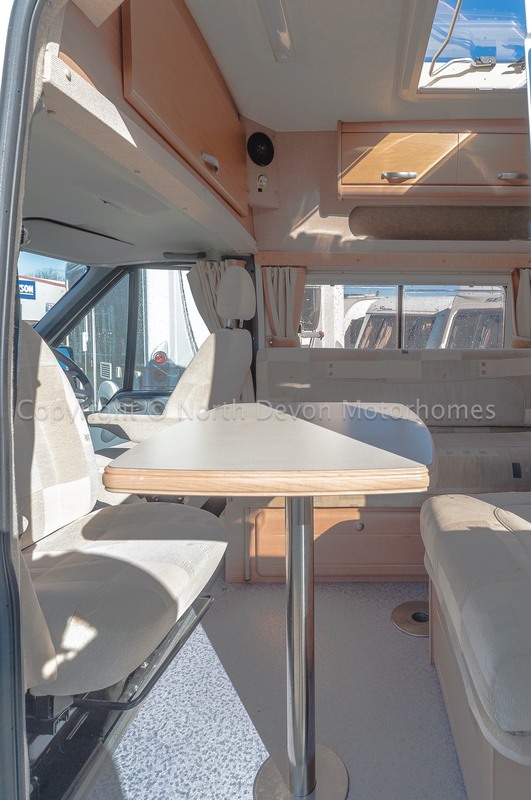 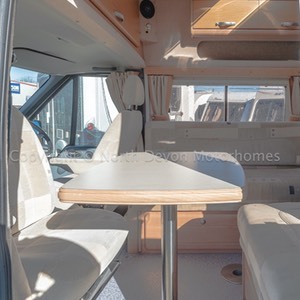 One inward facing settee, one captains cab seat and forward facing seat form a spacious seating area with two stowable tables, one large and one small, offering multiple Lounge and dining configurations. 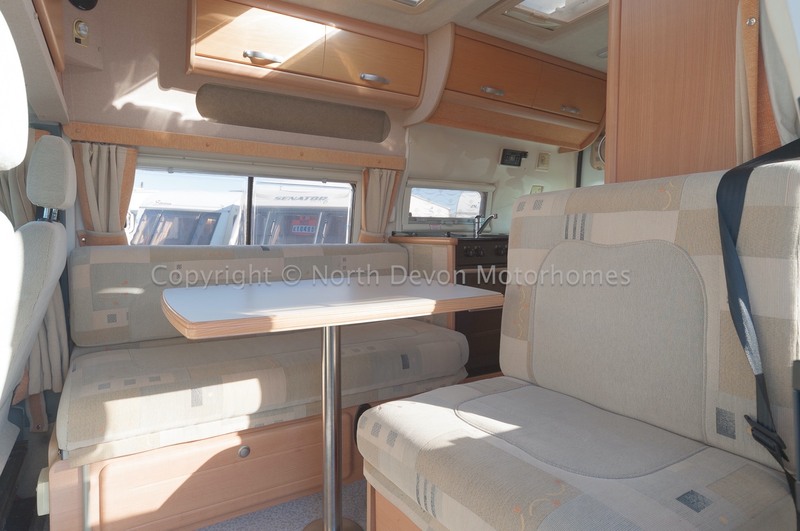 Large Heki roof light providing a nice light seating area. 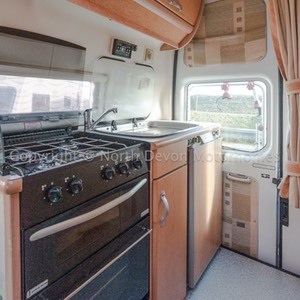 Three burner hob and oven and separate grill. 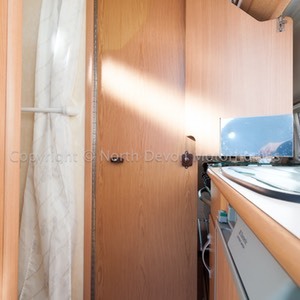 Sink and drainer, Three way fridge with high and low level storage. 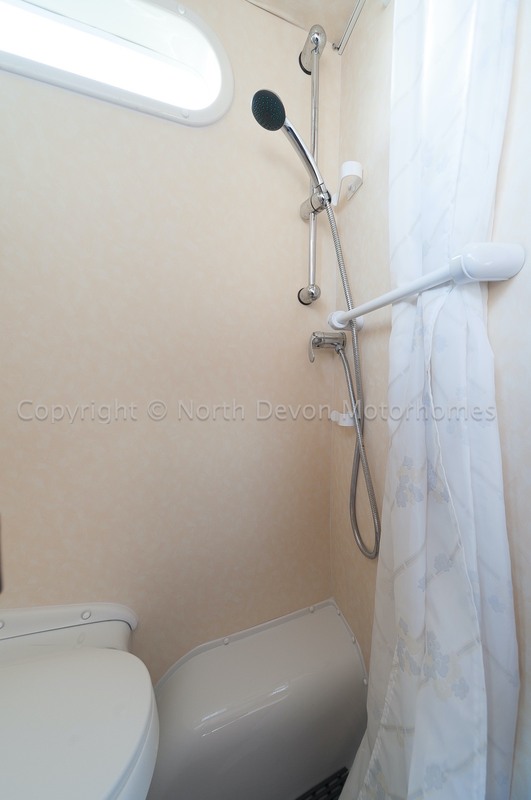 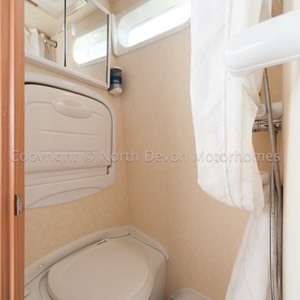 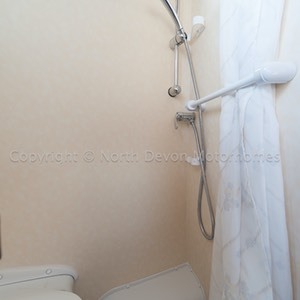 Thetford cassette toilet, drop down sink, mirrored vanity unit, shower, washroom door folds out to form dressing area at back of van. 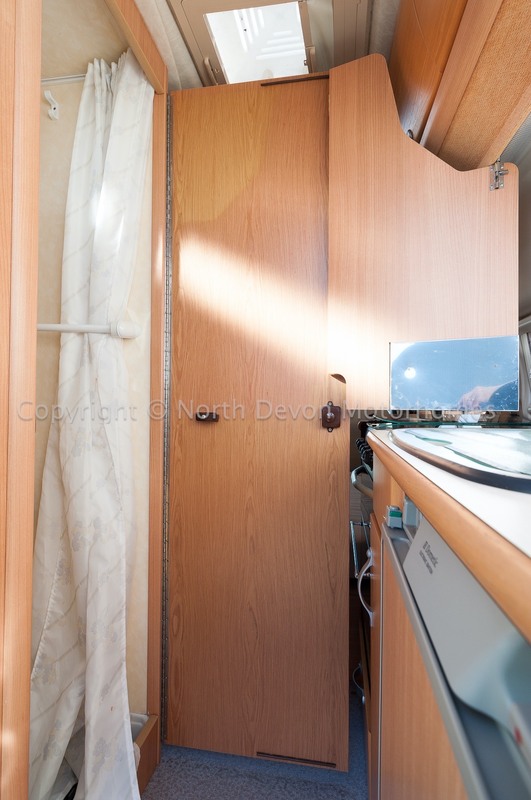 Truma hot water boiler working on gas and electric, hot blown air heating system, on-board fresh and waste water. 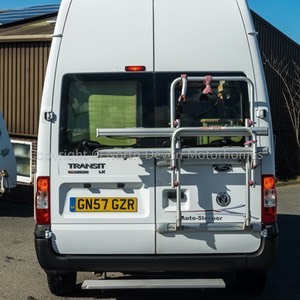 Bike rack, free standing carpet set, 240V Hook up lead.